There are unlimited online dating platforms but Vietnamese dating etiquette are quite different from all others. It is oriented somewhere towards a romantic courtship where people get deeply involved in a relationship. 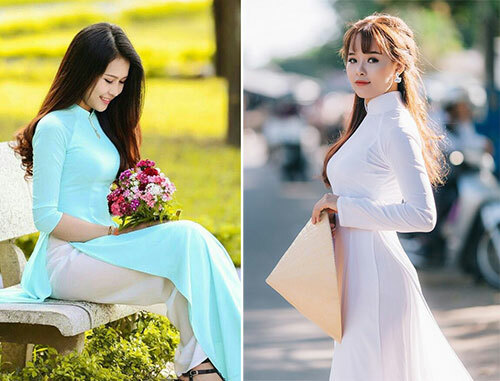 If you are searching for a Vietnamese woman then it is essential to collect few tips in advance so that you can proceed ahead with more care. Dating a Vietnam is a kind of responsibility as these ladies are brought up in a very caring family. Years ago, they were following the tradition of arranged marriages but now the society has changed its mindset and parents have become more open-minded. They allow their girls and boys to date interesting personalities and fall in love before getting married. But yes, there are few social and moral rules to date a Vietnamese woman and they must be followed by every man. •	In this culture, a woman does not take the first step towards a romantic relationship, instead, this approach is expected from men. You have to meet her again and again and once you are into a close relation, you need to prove yourself best for her in front of her parents as well. Once they agree to your marriage then only you have to think forward about your relationship. •	You will be happy to know that Vietnamese women are family oriented and they expect entire family to enjoy together, especially on occasions and events. They love to present gifts to each other and you have to follow that culture when you meet her family members. •	Once her family gives acceptance to your relationship, then you can move out to have a coffee together, watch a movie or enjoy driving, shopping around the town. Vietnamese ladies do not like to become much closer in the first few dates; they take time to enrich the relationship with trust and deep love. So, it is possible that you may have to take few friends together for movies or coffee. •	You have to show affection towards her but the physical contact and sexual moves are not accepted between an unmarried couple. Vietnamese women do not like kissing in public, holding hands or sleeping together before marriage. But yes, you can follow the way of telephonic communications and public dates to come closer to her heart. Never forget to present a gift to her whenever you meet her and treat her well all the time. It is good to drop her at her place carefully after the date. •	There is no surprise to know that in Vietnamese dating culture, it is men who pay the bills for movies, dinner, and other social outings. Do not think about sharing the bills rather get some flowers for her to let her feel special. •	Display your love in a decent manner. You are not just responsible to make her fall in love with you rather you have to impress her family as well. It is good to value their tradition and culture if you take this relationship seriously.